The provincial government has announced upwards of $4.4 million in annual spending to bring a new primary healthcare network to the South Okanagan. 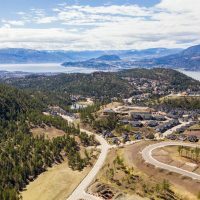 The investment announced Friday at the Penticton Community Centre will see the government, over the next three years, directly hire six new general practitioners, five nurse practitioners and 11 other healthcare professionals to work in the region. They will work towards new team-based care clinics in Penticton, Summerland and Okanagan Falls expected to open in 2020. The government says the new team of doctors and healthcare professionals will be able to treat thousands of patients in the area, which has been struggling with a significant doctor shortage in recent years. The new services will complement and partner with more than 50 general practitioners located in 20 existing primary-care clinics and private practices in Penticton, Summerland and Okanagan Falls. The focus of the South Okanagan primary care network will aim to enhance access to regular, extended and after-hours primary care services. The provincial government says it will be spending $4.4M a year on the network by year three. Primary-care networks have also previously been announced in Fraser northwest communities and in Burnaby. More information on the network as it rolls out can be found through the South Okanagan Division of Family Practice.